Subtitle: What If It's Not About Who You Marry, But Why? 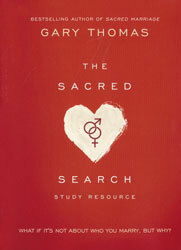 An 8-Session DVD companion to the Sacred Search. Here you'll discover encouragement and practical advice for building a relationship with eternal purposes at heart.